More regional energy companies to go public in 2018, says EY. Mena IPO activity witnessed eight deals during Q4 2017, representing a 60 per cent surge in volume over the same period in 2016, while the capital raised hit $2.5 billion, over ten times the capital raised last year and the highest since 2014. The UAE led the Mena IPO market in value, having raised a cumulative of $2.2 billion in capital, primarily contributed by the Emaar Development IPO ($1.3 billion), which was the biggest IPO in the region since 2014, said professional services firm EY. The UAE also saw another successful issuance in the form of Adnoc Distribution IPO which raised a capital amounting to $850.9 million. In Oman, the Muscat Securities Market recorded the highest number of listings with three IPO deals during Q4 2017, raising a combined capital of $81.9 million. The Mena IPO activity is expected to gain momentum in 2018 bolstered by economic reforms and privatization drive of countries such as Saudi Arabia and Egypt. This, coupled with improved oil prices, favourable government initiatives and strong investor appetite, is likely to spur more listings in the Mena, especially from leading regional government-entities. The IPO market in Saudi looks buoyant with major regulatory reforms underway, and the impending public listing of Saudi Aramco, Saudi Exchange, and other large government-related entities. Tadawul is also on its course to join MSCI’s emerging market index and has been swift in improving the regulatory environment and allowing foreign investments to be in line with global standards. In the last quarter of 2017, Tadawul raised an announced value of $110 million, while Saudi’s parallel market, NOMU, saw a decrease by 48 per cent in 2017 with no IPOs in Q3 2017 or Q4 2017. However, effective from 1 January 2018, the Saudi Capital Market Authority (CMA) has allowed direct investments by non-resident foreign investors on NOMU. Collectively, the GCC markets witnessed six IPOs deals in Q4 2017, recording a substantial volume increase of 200 per cent from the same period last year, while the deal value rose by over 10 times the capital raised in the previous year, reaching $2.4 billion in Q4 2017.The real estate sector raised the highest capital with $1.3 billion, closely followed by the energy sector with $850.9m. The REIT fund came third with a capital raised of $110m. 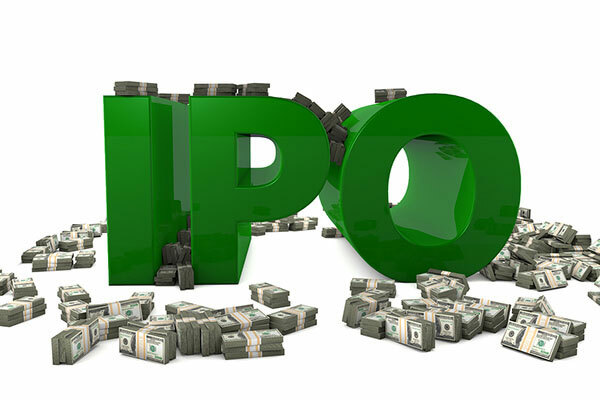 Activity in the global IPO market surged in 2017 with the listing of 1,624 deals, raising an aggregate capital of $188.8 billion. This is a significant growth trajectory in the number of deals listed (up 49 per cent) and capital raised (up 40 per cent), in comparison to 2016. This made 2017 the most active year for IPOs since 2007 and the global IPO market is projected to grow even further in 2018. This will positively impact the regional IPO landscape.